PHILADELPHIA, Penn., Jan. 12, 2012 /Christian Newswire/ -- Today, Republican Presidential Candidate Ron Paul received a major endorsement from Evangelical leader Dr. James Linzey, president and founder of the Military Bible Association. In a statement to Congressman Paul, Rev. Linzey stated: "Having thoroughly examined your political philosophy and finding that your platform is 100% in line with the Constitution of the United States of America, and examining your political record to find that you have consistently upheld the Constitution and thereby faithfully represented your constituency, and studying your statement of faith to find that your faith and religious experience is 100% compatible with Evangelical Christianity and Orthodox Christianity, I hereby endorse you for the Office of the President of the United States of America. I wish you Godspeed!" Dr. Linzey later stated, "Among the six remaining GOP hopefuls, two are evangelical -- Ron Paul and Rick Perry. But the tell-tale sign of being qualified for the presidency is not faith, but loyalty to the Constitution which defends the open expression of faith. 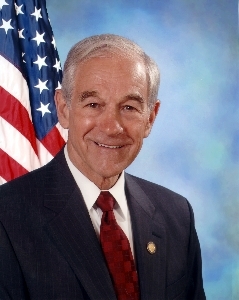 Ron Paul seems to be the candidate most loyal to the Constitution according to the records. So when other evangelical leaders endorse GOP contenders of other faiths and traditions, some of whom have received funds from special interest groups, and are not as loyal to the Constitution as is Dr. Paul, one must necessarily ask, 'What is their agenda?' because they certainly are not endorsing the most qualified nor the most evangelical. If evangelicals wish to make faith an issue, then they should take a closer look at Dr. Paul's statement on his web site, 'Let me be very clear here: I have accepted Jesus Christ as my personal Savior, and I endeavor every day to follow Him in all I do and in every position I advocate.'" For Dr. Linzey, a man of faith who displays a proven record of utmost loyalty to the Constitution is the most qualified for the presidency. In 1980, Linzey walked the precincts in Pasadena, California, for Ronald Reagan while attending Fuller Theological Seminary. In 1984, he volunteered again with the Republican Party, working the telephones to solicit support for Ronald Reagan. At the 2006 winter conference of the Council for National Policy, Linzey was asked to make a bid for Congress as an Independent. If Governor Mitt Romney wins the Republican nomination, Linzey stated that he would give Governor Romney his full support. "Governor Romney is an excellent debater, but Congressman Paul is a better one from my perspective. He argues from the standpoint of the Constitution, often showing his opponents' positions to be unfounded and unconstitutional," Linzey said. Linzey served as a military chaplain for nearly 24 years, retiring with an Honorable Discharge. He hosted his own television programs, Operation Freedom, broadcast in Europe, the United States and the Far East. He has travelled the world as an evangelist before founding Military Bible Association.